We aimed to investigate the surgical strategy, safety, and efficacy of percutaneous endoscopic decompression via transforaminal approach for lumbar lateral recess stenosis in geriatric patients. From January 2012 to June 2014, 25 elderly patients (18 males and 7 females) with symptomatic lumbar lateral recess stenosis were performed percutaneous endoscopic transforaminal decompression. The ages of patients ranged from 70 to 93 years (mean 79.6 years). 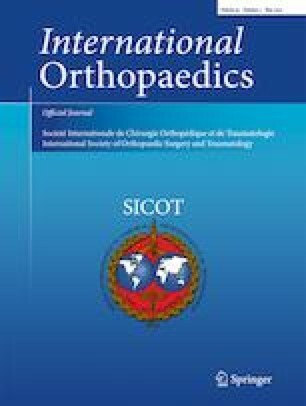 Clinical outcomes were assessed mainly by leg pain visual analogue scale (VAS), Oswestry disability index (ODI) score, MacNab criteria, and post-operative computerized tomographic (CT) scanning. The surgery was successfully completed in all patients with an average operation time of 75 minutes (range, 50–110 min). The lumbar CT images at two days after the operation demonstrated distinct enlargement of the foramen intervertebrale as well as satisfactory decompression of the lumbar lateral recess. And 24 patients of the group were followed up for a mean duration of 29 ± six months (range, 12–44 months). The leg pain VAS score decreased from 8.52 ± 1.11 pre-operatively to 1.80 ± 0.63, 1.33 ± 0.89, 1.05 ± 0.69, and 0.71 ± 0.50 at one, three, six and 12 months after the operation, respectively. Besides, the ODI score also dropped from 59.43 ± 10.04 pre-operatively to 29.42 ± 10.33, 20.13 ± 8.18, 13.98 ± 6.16, and 9.86 ± 5.03 at one, three, six and 12 months during the post-operative follow-up period. Statistically significant differences existed in both VAS score and ODI score at each follow-up time point when compared with the pre-operative scores (P < 0.05). The mean reciprocal angulation change of the operated segment in dynamic lumbar lateral view was 3.2° ± 1.6° at the last follow-up. And there were 18 excellent cases, three good cases, and three fair cases according to the MacNab criteria, and the excellent and good rate was 87.5% at 12 months after the operation. There was no aggravation of the coexisting medical conditions after operation in this group. Only 1 case was found complicated with lower extremity numbness, which was recovered by conservative treatment for two weeks. No persistent neurological deficit or soft tissue infection occurred in all patients post-operatively. We considered that percutaneous endoscopic transforaminal decompression achieved satisfactory results and provided a safe, effective, and less invasive alternative for treating lumbar lateral recess stenosis in geriatric patients. Xiaoqing Chen and Rongqing Qin contributed equally to this work.